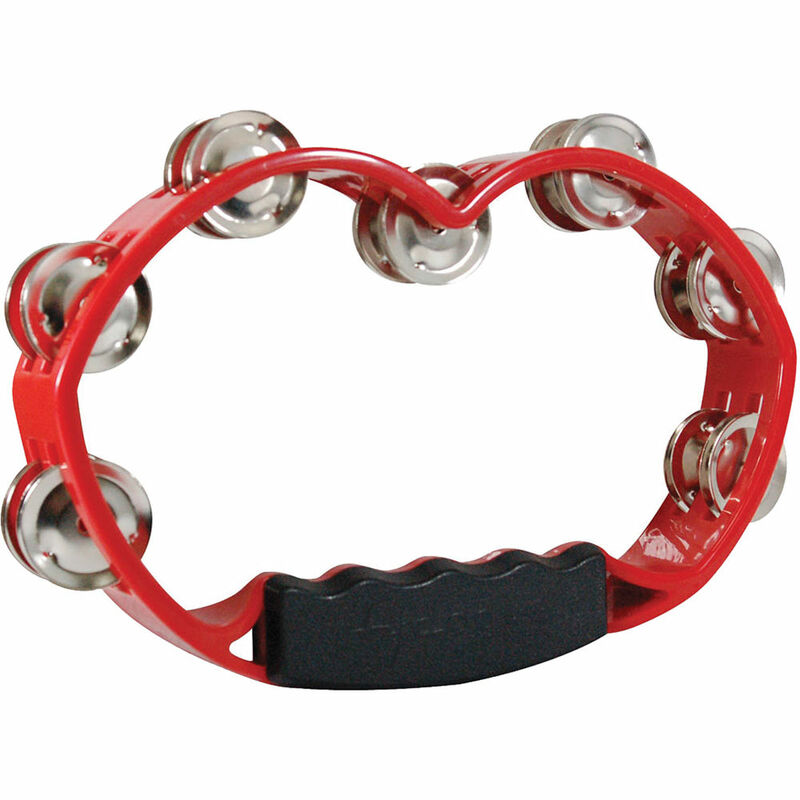 The red Steel Jingles Plastic Tambourine from Tycoon Percussion is a tambourine designed for maximum playability in a variety of musical situations. The handheld frame is constructed from high-strength plastic for added durability. The chrome-plated steel alloy jingles deliver crisp, cutting sounds. Box Dimensions (LxWxH) 10.25 x 6.5 x 1.85"